Marco Sabatini born in Florence in 1973, discovers photography in his teens, studies and experiments with its various forms, becomes increasingly fond of it until he chooses to make photography his life. 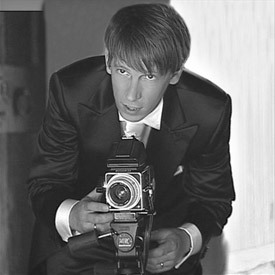 He starts photographing weddings after having done many other kinds of photography and from the success he has with this work, draws the enthusiasm, he needs to dedicate himself more deeply to the field. His goal, in addition to taking the customary wedding photo’s, is to look for something more intense to offer not only to the wedding couple, but also for himself as an “artist”. He presently lives in Florence where he has his studio, but he works all over Italy and abroad.